Are you tired of rotomoulding scrap because of warpage, blow holes and porosity? La Plastecnica offers a very innovative range of vents to stop this. Intellivent was developed to fit into vent tubes common in rotational moulding tools. This vent fits into any tube with an internal diameter of between 18 and 20mm. Intellivent functions in a similar manner to Smartvent. Supavent is made of a heat-resistant flexible polymer cleverly designed to create a one-way vent. Supavent allows air to go into the mould but does not allow it to escape. This gives better, more consistent mouldings. It speeds up the sintering process and so reduces cycle times. It also reduces porosity and improves surface finish. It gives repeatable results: because Supavent is a manufactured product designed specifically to fit into venting holes in moulds, its performance is consistent. It does not restrict part shrinkage, is easily incorporated into current pressurisation systems, and makes production of rotational mouldings easier. It reduces scrap rate, cycle time and cost per production cycle. 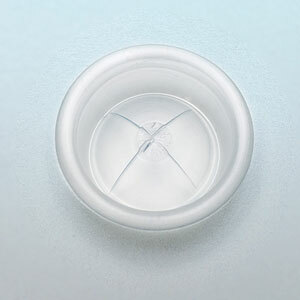 Supavent makes blowholes like those on the parting line and around inserts a thing of the past. Supacool is a device that cools rotationally moulded parts by spraying a water mist inside the molten part. Supacool is insulated and attaches directly to the mould and a regulated 5 bar compressed air feed. During mould servicing the operator injects water and resets the unit. The mould / Supacool assembly travels through the oven and then on to the cooling stage. When the mould reaches the cooling stage the compressed air is activated and misting is introduced to the inside of the mould. Generally Supacool needs to be used in conjunction with external water cooling. 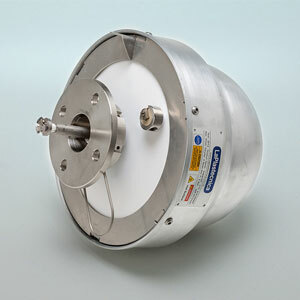 This combination can see cooling stage reductions of more than 60%. 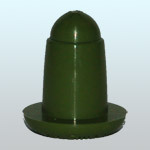 It can also significantly reduce warpage, especially useful in thicker parts. Made from a heat-resistant, flexible polymer that slots into the mould’s vent hole Tuvent is ideal for venting very technical parts with fine kiss-offs, double walls or critical dimensions. It speeds up the sintering process so shortens cycle times. It does not restrict part shrinkage. It facilitates the production of small to medium-large technical rotational mouldings, reducing scrap rates, cycle times and cost per production cycle. Its use improves surface quality and finish, and makes blowholes like those on the parting line and around inserts a thing of the past. It gives repeatable results: like its brother Supavent, it is a manufactured product designed specifically to fit into venting holes in moulds, so its performance is consistent. It is simple to use and install, and is easily incorporated into current pressurisation systems. Tuvent also has a second function. It is a two way vent so can be used fitted to the Technovent 19 for internal mould heating and cooling. In addition to the star cut at its tip it has lateral slits: air can be pumped into the mould through these side openings and a corresponding quantity of air can escape the mould through the star aperture. This internal cooling not only speeds part cooling but also increased dimensional stability and cuts or completely eliminates warpage. Smartvent is ideal for very technical parts with fine kiss-offs, double walls or critical dimensions. 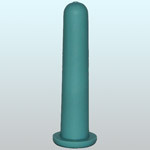 Made from a heat-resistant, flexible polymer, Smartvent is a partial one-way vent that slots into the mould’s vent hole. It speeds up the sintering process so shortens cycle times. In addition it reduces porosity and improves surface finish. It gives repeatable results: like its brother Supavent, it is a manufactured product designed specifically to fit into venting holes in moulds, so its performance is consistent. Smartvent does not restrict part shrinkage. It is simple to use and install, and is easily incorporated into current pressurisation systems. It facilitates the production of small to medium-large technical rotational mouldings, reducing scrap rates, cycle times and cost per production cycle. Its use improves surface quality and finish, and makes blowholes like those on the parting line and around inserts a thing of the past. Smartvent provides less pressurisation than Supavent. Used solo, Supavent and Smartvent have been providing the rotational moulding industry with improved pressure regulation and passive pressurisation of moulds over recent years. Their use with Technovent provides a simple method of attaching low pressure compressed air lines to moulds, allowing moulders much more control; Technovent also improves positioning of thermocouple probes in moulds, giving far more accurate internal temperature measurements. Technovent is an extremely useful addition to the La Plastecnica vent range. It provides a safe and reliable method of attaching internal air temperature thermocouples and pressurisation lines to the mould and so enables the moulder to dictate the time of part release from the mould and to control warpage and variation in shrinkage. It is designed with a handle that makes Supavent and Smartvent removal easier in factory floor conditions. In many cases, it increases the life of Supavents and Smartvents. If used with Supavent and a probe-type thermocouple or pin, it stiffens the Supavent and makes it effective in bigger moulds with large powder pools. The firstborn of Technovent range, the Technovent 13, simplifies active pressurisation of moulds where low pressure compressed air lines are used to deliver consistent pressure to the inside of parts.The recent development of the 19mm Technovent used in conjunction with the appropriate Supavent or Smartvent has taken this one step further, allowing moulders to both internally heat and cool parts while pressurising. Controlling cooling gives better, more uniform parts. 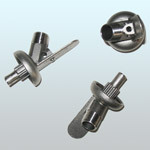 Trials have shown that in every case the internally cooled part cooled more quickly than the traditionally cooled part. Internal cooling looks to significantly improve the consistency of the rotational moulding cooling cycle, very important for those answering customers’ complaints about product non-conformity, so often a warpage issue. In fact improving the symmetry of cooling through the wall of parts has resulted in considerably less deformation. Technovents are constructed from tough cast stainless steel, and will probably last longer than you do!